Dunsfold Airfield History Society Limited ( DAHS) has the aim to preserve those features of Dunsfold Airfield that have significant historic or architectural interest, in order to retain for posterity the unique contribution of the airfield to our national aerospace heritage. It exists to research and make public the history of what has been called ‘Surrey’s most secret airfield’*. Dunsfold Aerodrome is an important part of Britain’s technological, military and economic history. 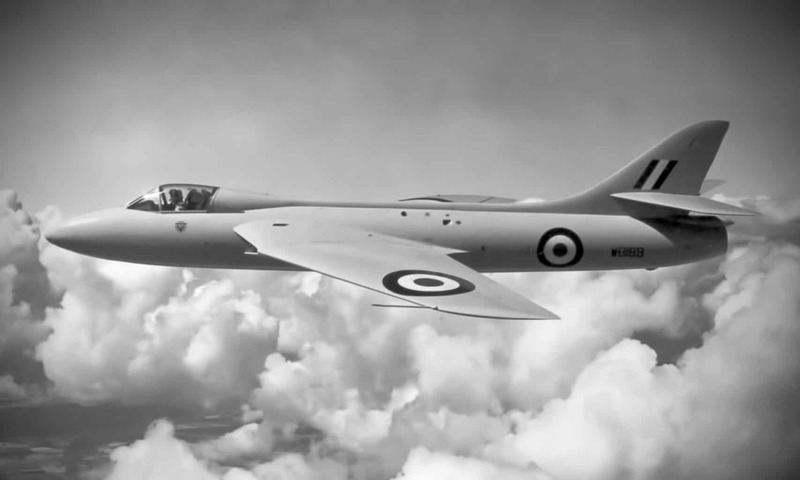 It is the birthplace of some of the most iconic and economically successful aircraft in Britain’s aviation history – the Hawker Hunter and the BAe Hawk were developed and manufactured here. It is the home of the most influential military aircraft of the past 60 years – the Harrier "jump jet"– the first operational VSTOL military aircraft that was the blueprint for many evolutions and variants exported across the World. Dunsfold Airfield has many unique buildings and structures. The airfield was built as a medium-bomber base in World War 2 and swiftly the ownership moved to aircraft manufacturer Hawker and later British Aerospace. This means many of the original wartime features of the airfield were preserved from redevelopment or demolition during the following decades. Similarly the development of the Harrier VSTOL aircraft required the building of unique test facilities – many evident today. These structures represent Dunsfold’s significant place in the development of perhaps the most influential range of military aircraft ever produced. Dunsfold also played a pivotal part in the historic Berlin Airlift - 21,000 flights to supply goods to besieged West Berlin between 1946 and 1950. Dunsfold Airfield History Society is keen to encourage you to help us preserve the valuable and unique heritage that is Dunsfold Airfield. You can become a free member of the Society by subscribing to this website with a simple email registration. You can add to the information on this website, via the comments sections on each page, via the forum, or by contacting us directly.